New Delhi, 15 June 2017: Kairali – The Ayurvedic Healing Village will be hosting India’s first, Ayurveda-based Chef’s Retreat,Healing Recipes–Back to Roots from July 3, 2017 to July 6, 2017 in Palakkad, Kerala. Designed through 120 years’ worth of collective experience of the experts at Kairali and some of India’s leading culinary minds, the idea behind Healing Recipes– Back to Roots is to create this fascinating platform that brings forth ancient food wisdom and philosophy presented through modern culinary practices. It is an endeavour to help people realise how food can be their biggest investment for happiness and wellness. Healing Recipes- Back to Roots’ has been put together under the mentorship of legendary Chef Gill and Ayurveda-expert-author of The Ayurvedic Cookbook and Jt. Managing Director, Kairali Ayurvedic Group, Mrs Gita Ramesh. 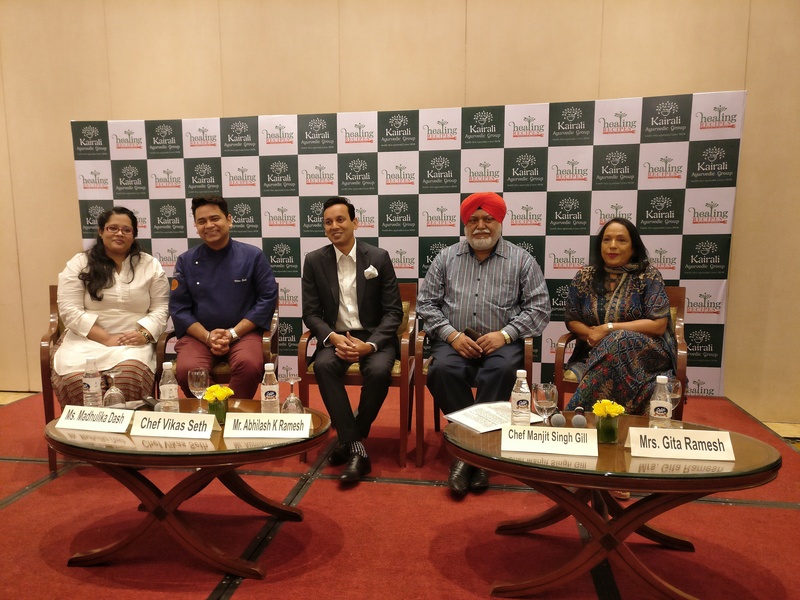 This inaugural season has also been endorsed by some of the renowned names in the industry, and will have expert chefs such as Mexican expert Chef Vikas Seth, progressive cuisine guru Chef Abhijit Sahaand Indian cuisine specialist, Chef Chetan Sethi conducting specially designed classes. Healing Recipes is a three-day event where residents will get to interact with Ayurvedic doctors and chefs, attend specially-curated masterclasses, explore local cuisine, learn the trick of growing vegetables and spice, organically, and master the art of making gourmet meals that are nourishing and indulging. “Healing Recipes is an exciting journey that starts from the farm and culminates as a breathtaking dish on the plate. 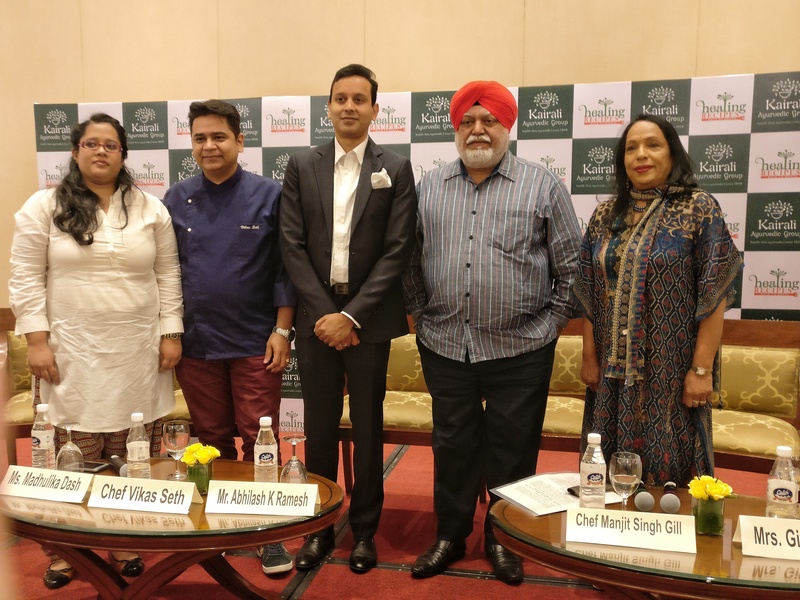 It is an opportunity to discover the wonders of food, philosophies and the culture of taste,” said Ms Madhulika Dash Curator & Co-Founder, Healing Recipes–Back to Roots. Kairali Ayurvedic Group was established on solid ground of Ayurveda research. Since its inception in 1989, by Mr. K.V. Ramesh and Mrs Gita Ramesh, Kairali has built on the achievements of its forefathers, developing its product infrastructure to make a diverse range of Ayurvedic medicines available to a multi-national audience. The Group, spread across 9 countries with 35 treatment centres is also into Ayurvedic Medicines & Healing Centers. Its signature Ayurvedic health retreatThe Ayurvedic Healing Village is one of the leading Ayurvedic health retreats in Asia, and among the best wellness centers in the world. The Group is founded on authentic Ayurvedic medicine and philosophy, delivering high quality natural Ayurvedic therapy and has made a name for itself in the Ayurveda industry. For further details please visitwww.kairali.com.